Testimonials, anecdotal reports, memoirs and observations reported by patients. According to some estimates, the total numbers of cured cases in his category amount to hundreds of millions over the past 200+ years! Case records and case histories published over the past 200 years by homeopathic physicians and practitioners in homeopathic books, magazines and peer-reviewed journals in many languages. 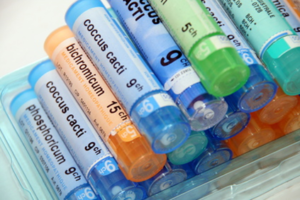 Scientific studies, including laboratory studies, animal studies, and clinical studies, showing efficacy of homeopathic treatment for conditions. We have found over 5,000 in peer-reviewed journals worldwide published in the English language alone. However, there are probably many more, either published in other languages, or that never made it into peer-reviewed journals. This list is continually updated. If you do not see your condition, or if your condition has no name, only symptoms, please feel free to CALL US to discuss what help homeopathy can offer you. I just don’t feel right! I just don’t feel well! I’m not functioning at peak performance! Pioneered The Mueller Method™ of Homeopathy. Generalist with special interests in oncology, cardiology, neurology, mercury & heavy metal chelation, hyper-sensitivities & allergies, complex chronic disorders. Expert & Certified in The Mueller Method™ of Homeopathy. Generalist with special interests in children’s conditions, women’s issues, Chronic Fatigue Syndrome (CFS) & Fibromyalgia, emotional/cognitive disorders, mercury related Issues, and acute illness/accidents/injuries. We have compiled a list of homeopathic terms and definitions that you might find very helpful. "I came to Mr. Mueller to treat recurrent appendicitis, which he cured. I was so tired of antibiotics and threats of surgery. I couldn’t bare living without one of my organs!! My Mom (another client of Mr. Mueller’s) suggested I keep having treatment since my Dad and Grandmother had recently died of cancer.